One of the best breeds that would surely capture your attention is Shih Tzu Chihuahua Mix. It is sometimes called Shi-Chi, Chi-Shi or Chi-Tzu. Who would never want to take care of a pup with an adorable and cute personality? But before adding it as one of the members of the family to bring fun, be blown by these facts first and discover some of the most exciting things about ShiChi. Where does ShiChi come from? Is adopting a ShiChi right for you? Where to find ShiChi breeders? 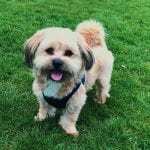 ShiChi is a cross breed between two popular and cute dogs, Shih Tzu and Chihuahua. It originated in the United States as a source of fun and enjoyment in the kids at home. This breed is one of the sought-after designer dogs in the country due to its pleasing appearance that gives joy to many pet lovers. 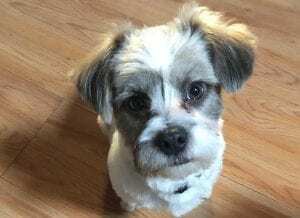 Shih Tzu Chihuahua Mix vary in size and appearance. 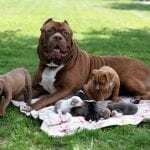 Let us take a look at its parental breeds to get information as to why this dog has a one-of-a-kind personality and look. 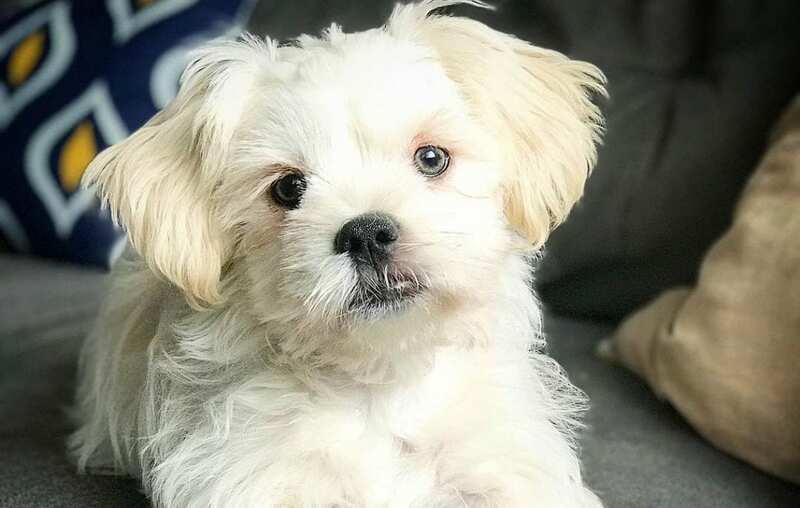 If you are planning to adopt a Shih Tzu Chihuahua Mix, knowing its background will also help you understand the behavior of this pet. One of ShiChi’s parental breed is the Shiz-Tzu, a name that came from the Chinese word for lion. It originated in the Tibetan Plateau was also developed in China. Some pieces of evidence gathered way back in 10,000 years show that it was the world’s oldest dog that still exists. This breed which is also called the Chrysanthemum Dog only weighs about four to 7.25 kilograms and stands up to 26.7 centimeters. Its eyes are dark and large while a long, soft coat protects its body. It is commonly seen to have long hair, but dog owners can bring them to pet shops if they want it to make it shorter. It also has various shades such as brown, black, white, and gold. On the other hand, the Chihuahua, which is also the parental breed of ShiChi, is a dog that originated from the state of Chihuahua in Mexico according to archeologic studies and folklore. This breed is characterized with large eyes and erect ears. Some kennel clubs also consider it as the smallest breed. It was believed that this breed came from Techichi, a kind of companion dog used by Toltec and Aztec culture in Mexico during the 9th century. However, Techichis became lesser during the Spanish war against America. Surprisingly, a Techichi was able to survive the battle, and it was found in the state of Chihuahua in Mexico in the 1800s as it was trying to be self-sufficient. 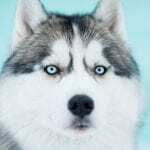 It then got its new name from the state, and shortly after it was discovered, it was brought to the United States and was first recognized by the American Kennel Club in 1904. ShiChis’ parents are both companion breeds. It means that it is likely for it to possess skills that can be used for hunting, jobs, or sports. They mainly give joy to the family because of their loving temperament. 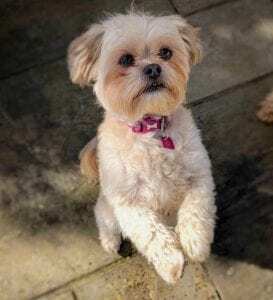 Shih Tzu Chihuahua Mix is identified as hybrid breeds, the outcome of the mating of two different purebreds. Most people prefer to adopt dogs like ShiChi due to aesthetic reasons. It is not surprising when even people who don’t love dogs can find it adorable. It acquires cute traits from its parents that makes it lovable. Since ShiChi is a mix of two cute breeds, do you wonder how it would look like? Maybe, you are expecting it to look lovelier and cuddlier. Or, you may think that the older the dog gets, it also grows larger. To better understand its growth and appearance keep reading! ShiChi adapts its height from its parental breeds. Since both parents are small, it can only grow up to 10 inches tall and weigh between three to nine pounds. A full-grown male ShiChi can weigh up to 18 pounds while a female weighs about five pounds. It may have erect ears while others are hung down. If they have floppy ears, it means that they take more appearance to their ShihTzu parent. The shapes can vary as well depending on which parent it takes more trait. The appearance of its coat depends on its genetic adaption from its parents. It will follow the color and waves on the dominant dog it is bred with. That means that it may be longer like the Chihuahua, and may also be wavy like the coat of a Shih-Tzu. Commonly, Dogs’ coat is dependent on their Chihuahua parent. It means that if a long-haired Chihuahua is used to breed a ShiChi, it will be also likely to develop a long-coated puppy. The color of its coat may be white and brown, black, tan, cream, or a mixture of those. It usually depends on its adaptation to its parents. Commonly, ShiChis have tan markings on top of their white coat. Most of the time, ShiChis have almond-shaped eyes while their nose is small. Their body is too small, and in fact, their heads are commonly proportionate with it. Take note that ShiChis cannot eat much to replace the lost energy they spent most especially during prolonged situations. It is essential to give them a little or enough space to move around. 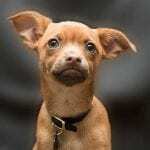 It is also worth noting that they can also be as stubborn as their parent Chihuahua if you want to train them. Shih Tzu Chihuahua Mixes may not be suitable for hunting or sports, but they have high energy levels that keep them lively most of the time. Despite this fact, pet owners must limit intense exercises. It is recommended to let them do no more than 20 minutes of exercise such as walking or jogging in the morning. You may also allow other activities that develop dog agility including flyball, fetching, and obedience games. Although ShiChis have a great dog family, they can be hard to train. They mostly acquire their temperament from their Chihuahua parent who is known for its aggression and nervousness. These qualities would hinder a dog owner to train ShiChis. These dog breeds are usually timid, so it is essential to teach dog commands how to socialize with other pets. ShiChis tend to be noisy because they produce high-pitched sound when barking. They also got this trait from their Chihuahua parent. This behavior often comes out when they see strangers. Thankfully, pet owners can train them to stay calm when seeing people or other pets. Frequent praises and rewarding them for showing good behavior can also help you train them properly. 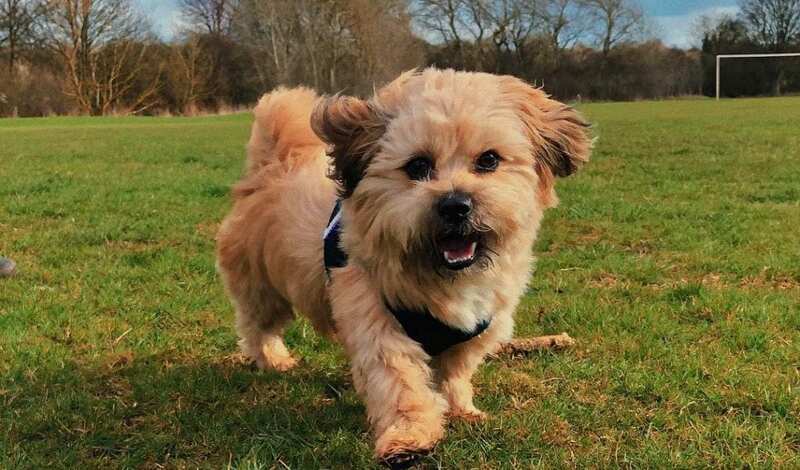 Since they also adapt some attitudes from their parent, kenneling can be an excellent method of training, just like how effective it is for Shih-Tzus. ShiChis are smart but require patience to train them. If you think that you have done everything to train them, you can bring them to training classes to seek help from training professionals. These people have great techniques to boost your pet’s performance. One of the reasons why dogs can be challenging to train is they have a short attention span. It takes patience to housebreak them compared to some breeds. Any negative approach that you do for them can cause anxiety, which can hinder them to learn quickly. It is worth noting that a properly trained ShiChi can become friendly with other pets. They love the attention that they get from kids and other members of the family. Although they may be suspicious to people and other animals they meet, this behavior can still be beneficial for you as a dog owner. It helps you to have someone to protect you and your family. It is also worth noting that ShiChis can quickly adapt to tight areas of your home. It is, therefore, excellent when you live in a small apartment, and you want to adopt them. A small space is enough for them to play on their own, or take a nap. They shouldn’t be left outside the home because they can quickly catch colds. They are susceptible to diseases especially during low temperature because they have a small, fragile body. The temperament of ShiChis can vary depending on which parent they take their personality more. But generally, they are known to be loyal and protective pets. They are also playful but shouldn’t be exposed to rough play because they have a small body. They are aloof when seeing strangers, but they can be friendly once they learn to get along with people or other dogs. ShiChis are also affectionate to their masters. They can act as watchdogs despite being small. These cute pets are loyal and loving. You can notice them following you as you move around the home. They love to seek for your time which means that they love as well. Since they have small bodies, you should also ensure that you put them in a warm and comfortable room because they cannot withstand freezing weather condition. Also, keep in mind that ShiChi’s parent, Chihuahua, cannot tolerate prolonged playtime. Little children who love rough play could let them feel threatened, and these dogs won’t show their friendliness anymore. Shih Tzu Chihuahua Mix adapts this behavior from its parent. It wants socializations, allowing it to act aggressively when it meets strangers visiting your home. Combining the temperaments of Chihuahua and Shih-Tzu, you will have an energetic and protective pet. As a pet owner, it is also crucial to bring them to public places like dog parks as a way to train them to get into proper socialization. Timid ShiChis would instead take a nap and usually feel scared when they saw strangers around. It is, therefore, essential to expose them to people and other dogs so they won’t act that way. ShiChi tends to forget their size when they feel too excited and aggressive. Pet owners must train them at an early age for them to avoid the small dog syndrome that commonly appears on this breed. They want to gain full attention from their masters. As long as ShiChis can get along with the family, they can also quickly adapt to their environment. The coat of this pet can grow long. Depending on your preference or you find that there is too much shedding, you may cut your dog’s hair, so it is easier to maintain. With that in mind, you only need to brush its coat two to three times a week. If you choose to let its hair grow, you should brush it daily to avoid tangles. You should use shampoos and conditioner specially made for dogs to keep their coat shiny. It is a good thing that ShiChi’s coat shreds minimally, which means that you don’t have to experience the hassle of vacuuming your floor and couch now and then. You can purchase a brush specifically designed for pet dogs. This item can prevent tangles or matting so that you don’t have to worry about making their coat shiny. It is also essential to bath your Dog monthly. Don’t hesitate to bring them to the veterinarian for flea treatment or general check-up. Like other dogs, paying attention to ShiChi’s eyes, ears, and teeth is equally important. You also need to make sure that these parts are clean. Use a damp cloth to wipe the corner of its eyes. You must also remove excess wax from its ears but make sure that you do it gently. Since both parents of ShiChis are prone to obesity, it is also possible that the dog can adapt to this health condition. Therefore, you must control its calorie intake. It is a great way to prevent some health problems such as diabetes, heart disease, and most especially, early death. Giving ShiChis about ½ to one cup of dry dog food divided into two servings is enough for them to sustain their daily diet allowance. Make sure that the food you buy contains essential nutrients for the improvement of his eyes, coat, and teeth. It may consist of protein and omega-3 fatty acids. It is also helpful when you give this small pet kibbles so that it is easier for it to chew the food. Adult or larger ShiChis should be given one cup of dry foods a day, divided into two servings. Pet owners must provide them with a separate eating bowl. Avoid combining them to other breeds during meal since they only eat a small portion of food. Meat products are suitable for them including dry foods that contain chicken, beef, fish, and salmon. They are easy to feed as long as they like the taste of the food product. Since ShiChiis only eat a small amount, it is essential to give them high-quality dog foods. That is to replace the lost energy they had within that day and sustain their health despite being small. Take note that these pets have a fast metabolism. So, aside from having a small body, they also need to gain more calories for them to develop a sustainable bodyweight. Since they are also energetic, Dogs don’t only need calories or nutrients on their food, but they also need to be fed two to four small meals in a day. Frequently, small breeds burn more calories quickly than the larger ones. Let them consume foods rich in fat to sustain their energy level. Protein is another mineral they should take for them to develop a leaner muscle mass. By looking at these nutrient needs of your dog, you should, therefore, make sure to adjust their dietary needs based on their weight. Monitor this aspect regularly so you can also adjust the amount of food that you have to give each day. That means that you should reduce the food when it gains too much weight, or increase the amount of each meal when it loses too much weight. A veterinarian can also give some useful advice about feeding recommendations. It is helpful when your pet is a picky eater. As the ShiChi enters the growing stage, the amount of its food varies as well as its dietary needs. A ShiChi can live between 12 to 15 years, which is shorter compared to other dog breeds. These fragile pets need extra care when cuddling them. Aside from being energetic, they can quickly get injury or bruise. Therefore, pet owners must pay attention when kids try to rough play with them. Since ShiChis have tiny mouths, their teeth can’t grow freely, resulting in tooth decay and gum disease. It is, therefore, essential to bring them for a dental checkup regularly and follow some oral care methods such as brushing their teeth daily and reducing the consumption of sugar on their food. It is also possible for it to acquire some eye problems like glaucoma because of having protruded eyes. This condition commonly exists as the Dog ages. You should bring it to a regular check-up to save so that surgical procedures may be done to correct this health issue. It has been reported that small pets may suffer from brain inflammation which is called necrotizing meningoencephalitis, but this health condition is rare. They may also suffer from other health issues that they get from their parents. It depends whether the dominant genes come from their parent Chihuahua or Shih Tzu. Another disorder that can affect ShiChis is idiopathic epilepsy which often occurs when their parent has the same condition. This condition is mostly found in chihuahua. Other health problems that can happen on this pet are patellar luxation, tracheal collapse, and heart disease. It is possible that ShiChis can inherit the health conditions of their parents. However, it is also worth noting that in most cases, hybrid dogs can be healthier than their purebred parents. It is essential to bring them to a certified veterinarian immediately in case you observe some problem with their health. Adopting a ShiChi is an excellent option if you want an adorable companion at home. Their appearance is something that a dog owner wants to see every day. Even kids will also learn to love them easily. It is also suitable to adopt a ShiChi when you have a limited area at your apartment because they don’t mind living in a tight space. Furthermore, they don’t overeat, unlike other dog breeds. Take note that most high-quality dog foods are sometimes expensive. ShiChi is an excellent option when you want to be a dog owner yet; you still make sure that this decision is budget-friendly. Since they are not friendly to strangers, they can also be an excellent watchdog. They bark to alert you of the person’s presence. This action can help you when a burglar is trying to go inside your home. Aside from this character, Dogs also requires low maintenance. They don’t require frequent brushing unless they have a longer coat. Unlike other dog breeds, ShiChis also don’t need too much exercise. A few minutes of walking per day is enough for them to stay energetic. If all the information we shared entice you, there are reputable organizations that can help you adopt a ShiChi. You can find sources from the kennel clubs mentioned above that is near your area. They also know some training clubs that can develop the character of this pet. Some dog groomers and veterinarians may also refer you to ShiChi breeders. Where can we get one and how much are they?